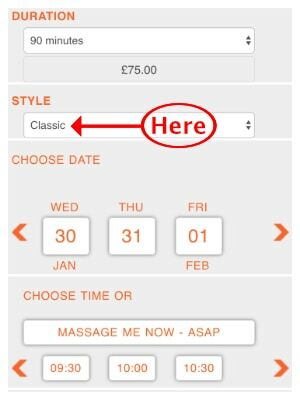 Discover how to book a mobile masseuse near you in as little as 60 seconds. All you need is a computer, smart phone or tablet with internet connection and you could be enjoying professional massage therapy in the comfort of your own home within the hour. With visiting treatments in London starting from just £50 including travel for an hour’s therapy, this is one of the easiest and best value routes to relaxation and better health. 1. Power up your device, connect to the internet and open a browser such as Chrome. 2. 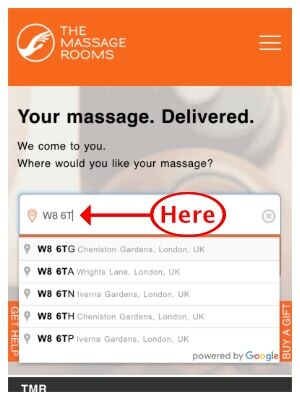 Type www.TheMassageRooms.com into the browser's address bar and press Enter. 3. Select Book Now from the top menu on the far right.
! Tip: Press CTRL-D or ⌘-D to save the resulting page as a favourite in your bookmarks. 1. Enter your postcode, select your address from the pop up list and click Book Now.
! Tip: If your full address doesn't appear, don't worry you can update it during the Checkout. 2. 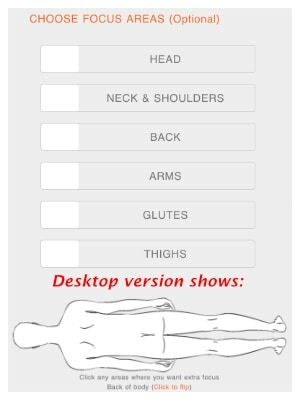 Select how long you want to be massaged for from the DURATION dropdown menu.
! Tip: 90 minutes is the most popular duration for a full body massage treatment. 3. Select what type of massage therapy you want from the STYLE dropdown menu.
! Tip: Most therapists do Classic and Deeper. If you choose a different style, fewer therapists will be available. 4. Choose the date and time you want your therapist to arrive.
! 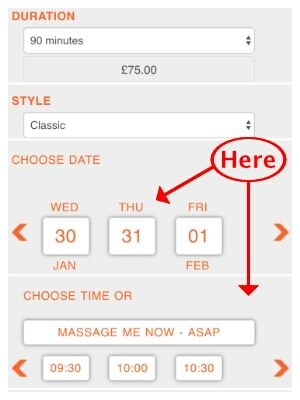 Tip: Click the Massage Me Now (ASAP) button to request a therapist to visit you as soon as possible. 5. To select a therapist, simply click on the photo of your preferred choice.
! 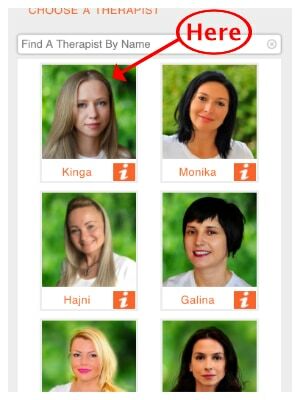 Tip: You can click on the small orange 'i' in the bottom right corner of each therapist’s image to read more about him or her. 6. Optionally, choose any body parts where you would like extra focus during your treatment.
! Tip: To choose body parts on the front, select Click To Flip and the body will flip over. 7. Complete your booking by selecting Continue As Guest and entering your details in the checkout.
! 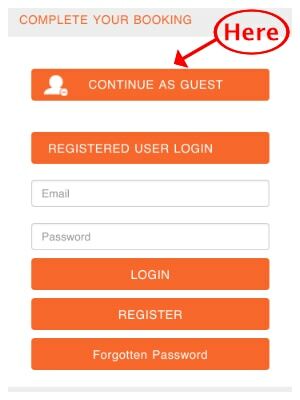 Tip: If you Register as a user you can book even faster next time around. 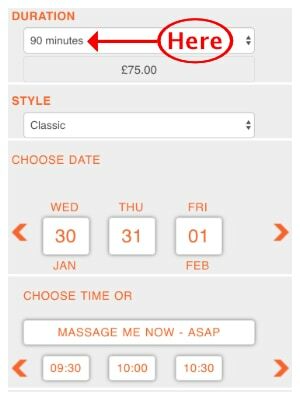 As soon as you complete your details in the checkout and press Confirm Booking your selected therapist will instantly be sent your booking details. To keep therapist availability fresh, you have 10 minutes to complete the whole booking process but many people complete it in just 60 seconds!